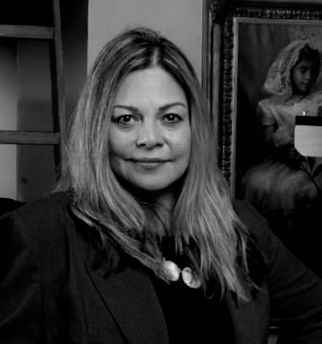 JoAnn Peralta, author and former illustrator, has been a professional Fine-artist since 2004. She is known primarily by the Western art world for her stirring depiction of American immigrants contributing to the American landscape, as well as Southwestern historical figures, many of whom were cowboys. With her lush brushwork and luminescent light she creates a timeless flair to her paintings. "The United States is a melting pot of ancestries of diverse ethnic backgrounds which tamed the west and in some cases came before. While Western art tends to focus on the history of the Indians and Cowboys, I not only paint cowboys, but vaqueros, and Spanish, Italian and Hispanic Americans. I believe their story is just as important, and I carry their blood in my ancestry. I hope you can relate in seeing that diversity is a noble aspect of American pride and your story is relatable in mine. Our pride is that our country is unique and we can embrace the love of the history of the United States through the varying stories that helped shape our incredible land”, says Peralta. Peralta studied at the Art Center College of Design in Pasadena, California where she was awarded a full-time scholarship. Since then, her work has been featured in publications such as: International Art Magazine, Art Business News Magazine, International Artist, Southwest Art, Western Art & Architecture, Cowboys and Indians, Fine Art Connoisseur, and Art of the West. Peralta has been a Masters artist at the Autry Masters of the American West Exhibition and Sale held annually at the Autry Museum of the American West for ten years. She has submitted her works for review for six years now for the Prix de West and her collectors are excitedly waiting for her to show there. She has had consecutive sold-out shows at the Small Works, Great Wonders Show held annually at the Cowboy Hall of Fame, in Oklahoma City, OK. Her work was the subject of a feature article written by then Special Advisor to the Autry Museum, John J. Geraghty, in the December 2012 issue of Western Art Collector Magazine. She also had a feature article in Art of the West Magazine, Jan./Feb. 2016 issue written by famed writer, Vicki Stavig. Currently, she was honored with an "In the Studio article", in the illustrious Western Art & Architecture Magazine, Dec./Jan. 2019 issue titled, "A Renaissance Space." It was written by the talented Isabelle Walker. Peralta also was given the honor of having her painting, Heart of the West (W.S. Hart Museum courtesy of the Natural History Museum, L.A. County), be displayed in the Longworth Building of the U.S. Capitol in Washington, D.C. She will be including it in her upcoming, soon to be announced One Person Show. Math Face, www.mathfacebook.com, by Art World Press www.artworldpress.com is Peralta’s new, first book release and is receiving excellent reviews. It was selected to be included by the Library of Congress in Washington, D.C. for their personal archive collections.